A blog with a daily splash of vintage swimwear, vintage fashion, news, designer profiles and all things retro. We welcome you to shop our on-line boutique Glamoursurf, featuring everything you need from the beach to the bedroom. Glamoursurf specializes in vintage swimwear, vintage lingerie, resort wear, cover ups, swim caps and fun in the sun beach accessories. 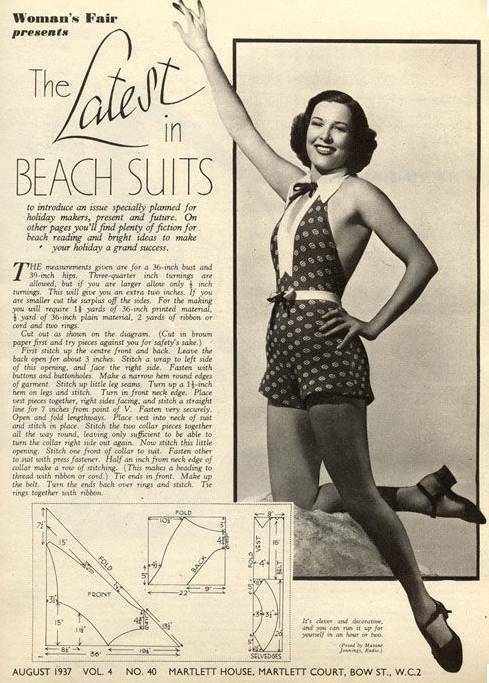 For those of you who like to sew, now you can recreate your own swimsuit, play suit or beach suit with these patterns! These images are from 1937, as always click to enlarge. Enjoy! Welcome to GlamourSplash. My name is Pamela Fierro and I've been collecting and selling vintage swimwear and fashion for over a decade. 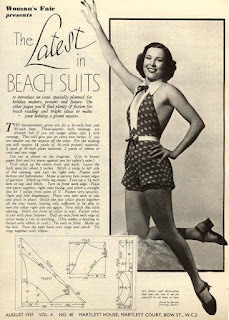 We chat about vintage swimsuits, industry leaders, designers, models, photographers; most anything relating to swimming and the art of swimwear. We also cover current trends in the industry. If you love vintage fashion and all things swim, you're sure to find a little something about it here. Shop our Selection of Vintage Clothing on Retrowear! 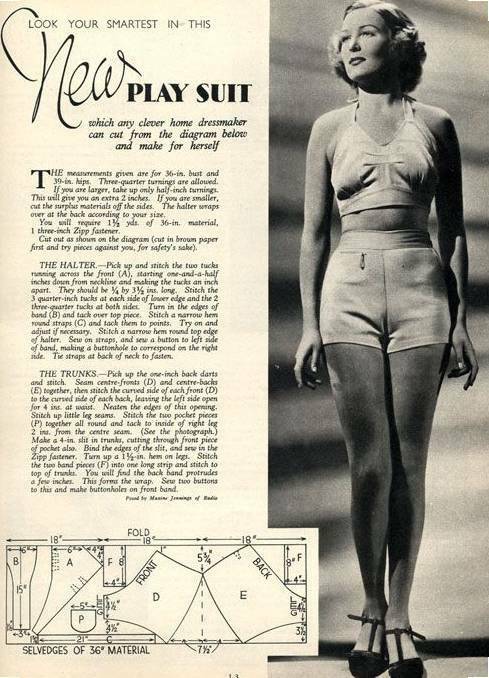 Visit our Vintage Pattern Site Glamourstitch!